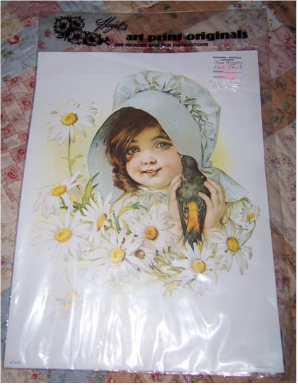 This cute picture is reproduction of an original vintage Victorian art picture. It is from the Old Print Factory based in America. It looks like an old Victorian greeting card print of a young beautifully dressed girl surrounded by a basket of gorgeous roses. 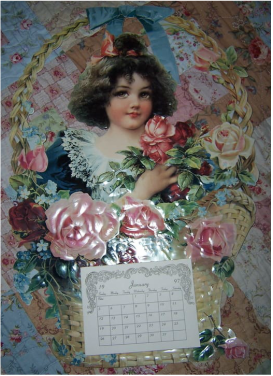 It also has a 1997 unused calender on the bottom (this may be able to be removed). Reproduced in the USA from our personal Turn of the Century Antique Paper Collection. It would look lovely framed and displayed on the wall of a room. t looks like an old Victorian print of a young beautifully dressed girl and boy with a box of butterflies which they are letting fly away. This cute picture is still in its original sealed plastic packet. It is a reproduction picture of original Victorian artist called Maud Humphrey. She lived 1968-1940 and was the mother of famous American actor called Humphrey Bogart. She drew beautiful pictures of young children in various poses which look lovely displayed in a childs bedroom. This picture is of a young girl with a sun hat on her head, holding a bird and is surrounded by a bed of white daisy flowers. 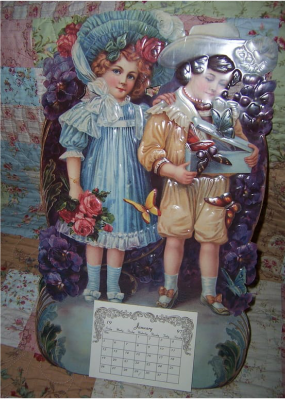 The back of the plastic cover suggests the picture could be used for decoupage or it could just be put into a picture frame and be displayed on the wall. We are selling others, and will combine postage. 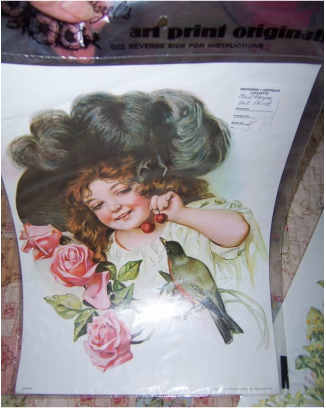 Our pictures is of a young girl with a hat on her head, holding cherries for a bird to eat which is sitting on a beautiful stem of pink roses in full bloom. 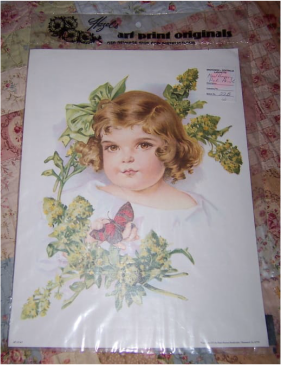 Our picture is of a young girl with a green bow in her hair, green flowers, and is holding a butterfly.